At TheMLSonline.com, home search is our specialty. Explore the tools available in the search section and configure a search criteria that meets your needs. Search by area, price, beds, baths and more. Creating a home search account allows you to save your favorites, rate homes and receive email notifications when homes that match your criteria hit the market. Once you've found a home you like, just click the Request a Showing link! We have the ability to show most homes on our site, often in as little as two hours. Having an experienced Realtor on your team can make the difference when it comes to finding the right home, getting the best price, and getting the contract terms that meet your home buying objectives. An experienced Realtor will draft the terms of your offer at your directive and explain your rights as a buyer. Taking the time to explain each page of the purchase agreement as well as disclosures and addendums are all part of your Realtor's responsibilities. Your Realtor can recommend a mortgage lender to help you determine a monthly mortgage payment that fits your budget. That way, you can narrow your home search to homes that meet your financial parameters and eliminate any surprises as to how much home you can comfortably afford. Visit our mortgage section and watch our "On Real Estate" video segments to learn more about the pre-approval process, and other finance-related topics. Once you've found the home that's right for you, your Realtor will work with you to draft a purchase agreement. Your Realtor will explain your rights and obligations as a buyer. This is your chance to ask questions about things like earnest money and the home inspection process. Once your offer is accepted and all contingencies are removed, your Realtor will work with you, your title company and your lender to coordinate your closing. At TheMLSonline.com, helping buyers is what we do! Every month, more than a quarter million active home buyers visit TheMLSonline.com to search for local MLS listings. But we're more than just an online real estate resource... we're a local, full service real estate company with more than one hundred Realtors serving the Twin Cities area! When you're ready to take your search from the website to the home site, we're here to help you every step of the way. It is important to note that several cities require home sellers to provide a pre-sale inspection, often called a Truth in Housing Inspection. If you're buying in a city that requires this type of inspection and you're an FHA borrower, your ability to get a loan may be affected. Ask your agent to explain how this can affect you as a buyer or seller. 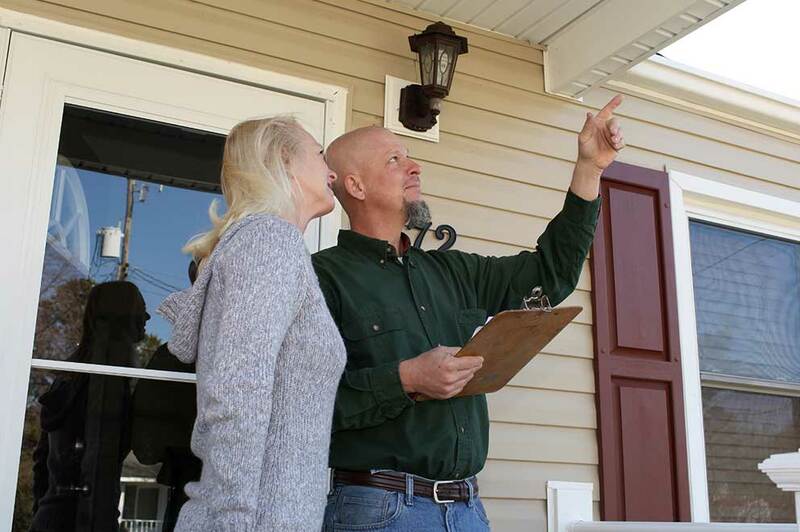 A home with a pre-sale inspection does not mean a buyer gives up their right to conduct their own independent inspection. ', 'Watch the On Real Estate video segments on this page to learn more about home inspections.